"Wherever you are, be there totally. If you find your here and now intolerable and it makes you unhappy, you have three options: remove yourself from the situation, change it, or accept it totally. If you want to take responsibility for your life, you must choose one of those three options, and you must choose now. Then accept the consequences." What should I go to college for in this economy? Thinking about going to college? Concerned about this economy? Hopefully this article will shed some light on college for the future. Go to school so you can get a good job with steady pay and good benefits. But we're not living in this world anymore. The last 10 years have totally changed everything. It's no longer enough to have a college degree. It's no longer enough to stay in the same position for the rest of your life. Things are much more dynamic now. We have tons of competition overseas from people willing to work for a lot less. We have competition abroad from all the people with college degrees. Before you go out and get a college degree you really need to think through what is best for you. Really think this one through. If most people are going to college and most people are poor, why should you go to college? Just because you hear about college your whole life doesn't mean that it's a good idea. Most people who go to college go because they don't know what else to do. It is kind of an act of confusion. If you're not really sure what to do and you're a bit scared about stepping out into the real world college can become quite appealing. But college isn't always the answer. Look at how many people go to college never to use their degree or the field of their study. College is a huge commitment, especially if you're unsure of what you're doing. If you're going just because everyone else is going you're doing it wrong. College should have a specific reason and you should gauge the field that you want to work in before you go to college. Want to become an engineer? Apply for engineering positions before school. Want to become a marketer? Apply for marketing positions before school. Often times you are much better off just jumping in without school. Yes, of course there are some positions that may require degrees like medical or law, but this isn't most people. Most people don't get these degrees. 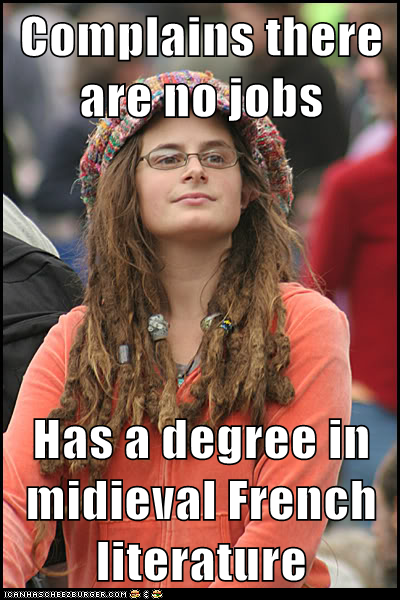 If you're just going for a general degree like Liberal Arts you probably shouldn't be going. Can you learn on the job? You always hear people say that you learn more in the first two weeks of your job than you do in all of college. If this is true then why would you ever want to go to school? Why not just get a job without college? Think you need a degree to get hired? Why do you think that? Have you ever tried to get hired without a degree? Many employers are happy to find people who are young and willing to learn and do whatever it takes to get hired. Think about it from the employer's perspective. I'm an employer and I employ people all the time. When I hire somebody am I looking for somebody who has a degree that thinks I owe them something, or am I looking for somebody who doesn't have a degree but is willing to do whatever it takes to get the job done? I want somebody who is going to get the job done and work hard. I don't want some arrogant college grad, I want somebody who has the right personality and who wants to learn and grow. I hire non-college grads all the time -- in fact, I prefer people without college. A business wants to make money. If you can make a business money they will hire you and they will love you. They want somebody that can add value to their business. College and a degree doesn't guarantee this for the employer, especially in this day. People lie, people cheat, degrees vary, there are just way too many uncertainties for the employer when it comes to college. Just remember, if you can make the employer money you will be ahead of everyone else. College is not cheap. In fact, it's a rip. We're living in tough times right now. The economy is way worse than we're led on when we listen to the news on TV. This economy is on pace for another crash just like we had in 2008. Is being in debt from college really worth it right now? I would be very, very careful. If you're getting student loans to go to college don't do it. I would not go to college with student loans. Period. There is very little reason to get in debt to get a degree that you will have to spend 10 - 30 years of your life working out of. College doesn't guarantee you a job. College doesn't guarantee you steady money. There are no guarantees with college. So don't think that there are. It's not fun or easy to pay off student loans after you go to college. You don't realize how serious it is until after you've gone. Unless you have rich grandparents or parents who are willing to spot you $50 - 100k for college I wouldn't go. It's just not worth going in to debt over. There are so many better moves you can make besides college, especially in this economy and time. Look for industries where money is being exchanged. There isn't money in things like magazine and traditional media. These things are dying. There is money in Internet and mobile. These things are on the rise. Pay attention to markets and observe trends. Follow the pulse of what is on people's minds. Programming and engineering are probably going to be big for a while. But you also have to realize that you will face extreme global competition in these fields... but pretty much every field will have global competition these days. It's no longer enough to just get a degree and live an easy life. You're going to really have to prove yourselves and add unique value. You're going up against the whole world and the whole world is willing to work for a lot less than you. You are going to have to win in creativity. You can learn everything you would learn at college online. Remember that. College doesn't offer you anything special or unique. If you really want to know something fire up Google and Youtube and start learning. The only thing stopping you from becoming an expert in any field is no longer college, you don't need college anymore. Seriously, Google and Youtube, and other sites, are absolutely amazing when it comes to real education. Why listen to a professor when you can listen to many professors on Youtube? Why read the books schools want you to read when you can read whatever interests you right now on Google? Here's a protip: sales is always needed, in any business. Pretty much 1/2 of any business is sales. All businesses need sales. Microsoft needs sales, Google needs sales, Amazon needs sales, Pixar needs sales, Exxon needs sales and on and on. Sales is one of the most necessary parts of any business. So if you can get good at sales, you will always be needed. Sales is direct money into the business' pocket. Any time you're making a business money you're going to be making money. So if you're really unsure of what to do and what will be needed far into the future look no further: sales. Sales will always be needed because that is the core part of money coming in for businesses. Money starts at sales. So if you're really unsure of what to do learn how to talk to people and learn how to close deals. That's where the real money is. So this is my take on college and the current economy. This is from the perspective of a businessman who employs people in the Internet industry. It's probably not entirely what you want to hear and it's probably different than what most people will tell you. But most people don't speak from experience and most people are probably thousands of dollars in debt and slaves to their job now. You don't want to become a slave. 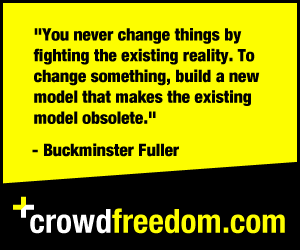 You want to become free. So really think things through and think if college is really necessary. Just remember, many of the greatest people in the world were college drop-outs or didn't go to school at all. It's not all that it's made out to be. Good luck! Great article, i think today student would be thinking that though they have a good degree but there are no jobs in market so why to spend so much money as be educated. I think your have mention great points in your article which are making me think. Well written. I personally never finished college because i had an "ah ha" moment. I started a successful small Internet business while in college, and I was sitting in economics class listening to the professor who probably never earned a dollar in his life through enterprise - except for his paycheck. I challenged one of his ideas and he went into a fit about formulas and all this nonsense. Then k saw him look at his $25 Casio wrist watch and saw him clinb into his shiny new Ford Focus (I think buying a new car is for suckers - this guy has a brand new car that be probably finances with 0% down) and drive away. I realized at that moment that I was earning a lot more money than this "economics guru" would ever earn. I decided my college debt wasn't worth it and so I stopped going and never looked back. Now my net worth is probably 1000x what his will ever be. I run my own company and I get resumes almost every day. It never stops to amaze me how amidst every resume starts with where they went to school. I don't care where you went to school or how many idiot professors taught you the valuable skills of how to regurgitate your text book. What matters is what you've accomplished and what you can do. Too many students tend to believe that having a degree makes you ready for the real world. A degree, in my experience, doesn't make you any more or less valuable than someone with actual experience. I started my own business and have even been offered several executive levels jobs which j declined. Not one time in my life did anyone ever ask where I went to school. Why? Because my "resume" is filled with tons of successful accomplishments that I built myself. College used to be a predictor of what you could potentially accomplish in your career. But nowadays, all it means is that you went to school for 4 years and didn't flunk out. A college degree doesn't make you stand out or unique - unless everyone else you're competing with didn't go to college. But today, just about everyone has a degree - so if your goal is to make your resume stand out from the huge stack of papers your employer is sifting through - find a way to gain relevant experience. The goal is to impress. Your mom might read your resume front to back - but most people that hire college grads have hundreds or thousands of people to sift through - who are exactly the same or better than you. Knock on doors. Network. Work for free and offer to help them do anything they want if it will make your resume stand out. I would much rather hire someone with experience in my field than someone who has lots of college degrees. If anything, lots of schooling tells me you didn't have the courage to strike out and do something - so instead you wasted too much time hiding behind a textbook because you didn't have the foresight to pursue any actual experience. And not experience like internships or degrees. Those are handed to gig and all you need to do is complete the work. Anything else with doing, that impresses people, requires you to be creative and find ways to gain some experience that you had to seek out on your own. Employers want to hire problem solvers. A pHD is meaningless to many employers because it simply meant you signed up, did the assignment given to you, and you didn't fail. It's much more impressive if you accomplished a task that you sought out on your own and made into reality. Never underestimate how impressed an employer will be when you can demonstrate your ability to seek out what you want and get it. Anyone can finish a task that was handed to you - like a college degree. But that's not even considered a noteworthy accomplishment to most employers anymore. Do something original and show how far you're willing to go. I promise you that will get more attention than any amount of schooling you can do. If you're competing with college degrees and internships - the same kings everyone else is doing - your chances of landing a job will be low and just plain happenstance. If you can demonstrate you found a way to get experience by sheer will and creativity, it means you can think outside the box and solve problems. That's what employers want. Not more degrees or courses that someone handed to you. Obviously there are exceptions like medical or law degrees which are required. But many careers these days don't depend on your college degrees or lack there of. Save your money. Be creative instead. It doesn't cost anything and it pays off much bigger than any college degree ever can. One more thing I learned from experience. Never forget WHY an employer is looking to hire you. Unless you're planning to work for the government or a non profit, companies hire employees so they can increase profit - directly or indirectly. Students these days tend to forget why then job they seek exists in the first place. It's there to make the company more profit - so whatever experience or education you seek to add to your resume, always do things that will show the employer how that line in your resume will achieve their goals; earning more profit. a big drawback of school in my opinion, is there is little or no emphasis on the reasoning behind much of your tasks. Your reason for taking a course is to meet a prerequisite for another class, and so forth. But it's rare you understand why something is necessary. Employers don't operate like schools. They'll hire you if you can help them achieve their goals - and that goal is usually the same - the increase profits. Seek out education ( and not just in school ) to add to your resume and make sure each thing you endeavor to do will answer the same question question every employer wants to know - how will you increase our profits? Employers don't generally care about education of any kind of it doesn't help them achieve their goals. Professors say idiotic things to justify certain eductional items such as "it shows you have leadership experience" or "it demonstrates your problem solving skills" etc. But the only question that matters is profit and how your resume demonstrates your ability to further that companies goals. And for most companies that goal is usually the same, directly or indirectly - how does that thing you did on your resume mean our company will grow and profit more? If whatever educational or experience related item you want on your resume doesn't answer that question, it's probably not worth wasting time or money on. They'll never tell you this in school because school thinks of employers (usually corporations) as academic extensions of the school system. But in reality they are not. They are profit making machines and if they are to invest money into a new hire, you damn well better be able to demonstrate that your $50k yearly salary can yield $100k yearly for the employer. Otherwise what's the point in hiring you?